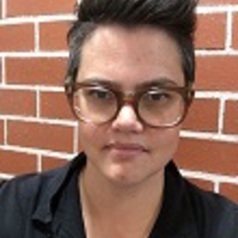 Dr Rachel Sharples (BA Comms (CSU); PhD (RMIT) is a researcher in the Challenging Racism Project (CRP) in the School of Social Sciences and Psychology. She completed her doctoral thesis at RMIT in 2012, examining the nature of the Thai-Burma borderlands, and the construction and projection of a Karen ethnic and cultural identity. Rachel's research interests are broadly around refugee and migrant community dynamics, the constructs of ethnic and cultural identity, and spaces of solidarity and resistance. Rachel plays a key research role in the development and dissemination of research material relating to a number of CRP projects, including racism and anti-racism, bystander anti-racism, Islamophobia, Muslim community attitudes towards policing, and racism in digital platforms such as social media and the sharing economy services.